It was a Thursday. I was a day shy of being 41 weeks pregnant when it came time to make a tough decision… should I have an induction? As a first-time mom at 39, I decided to go ahead and induce. The pressure was on to make the decision, too… I either did it then or would have to wait three days, as the hospital didn’t offer inductions on weekends. Women in my boat often face this choice if their baby doesn’t magically appear before or on the due date. And a new study finds that new moms who are late to the mommy game should go ahead and get the ball rolling if their bodies don’t do it naturally shortly after the 40-week due date. In a review of 80,000 English women over 35 years old, 0.08 percent of their babies died in those induced at 40 weeks. But when they waited until they gave birth naturally or were induced at 41 or 42 weeks, that figure rose to 0.26 percent. The longer you wait, the riskier it gets. 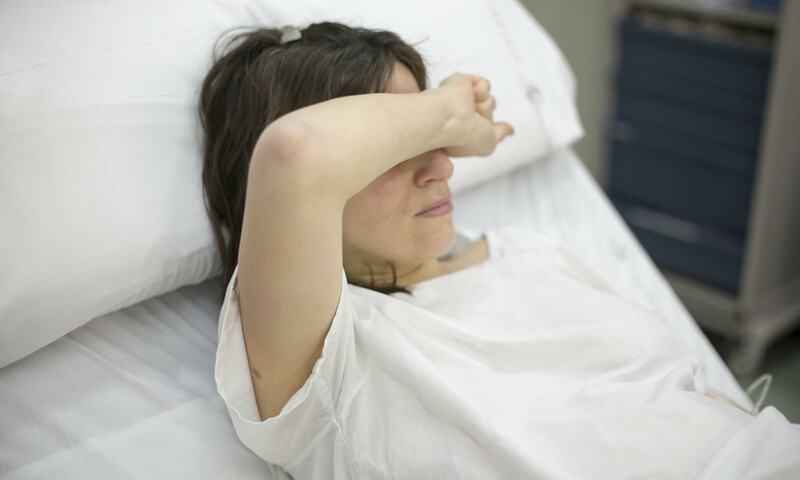 The researchers also found that earlier inductions were linked to a higher rate of C-sections, but they say that could be due to the fact that women with complications are more likely to be induced. Induction wasn’t fun. That Thursday, I tried to cram in a nap before rushing to the hospital to have Cervidil inserted — a medicine that would “ripen” my cervix to prepare it for the Pitocin. Cervidil looked the size of a tampon and was a thin piece of plasticlike material. Easy-peasy, right? Nope. My midwife had to insert it up to my cervix, and it felt like it scraped my insides going in because it was hard and did not have rounded edges. I slept through the night and got Pitocin the next day (and begged her to let me pull it out on my own). My son was born the day after that. I don’t regret my choice to induce. My son, Ben, experienced distress toward the end of my labor when I stalled — and I wasn’t going to risk his health to wait for my stalling cervix to get its act together. And 30 hours after going to the hospital, I practically begged the midwife to take me to the operating room. I just wanted him out safe. The C-section wasn’t really that bad, either. Not what I wanted at all, but I wanted a healthy baby more than anything, and thank God I have him. The study, though, does raise a good point for women in the over-35 crowd: Be prepared to talk to your doctor about the pros and cons of induction or post-40-week plans. For me, I had hours to decide if I would go to the hospital that Thursday night or wait it out until Monday. Had I gone into labor over the weekend, that would have been fine, but it put me in the 41-week range. If I waited until Monday, they wouldn’t have started me on Pitocin until Tuesday — he may not have been born until Wednesday, when I would have been nearing the 42-week mark. The important thing is to be prepared for what to do if you hit the 40-week mark. We spend a lot of effort getting through our pregnancies and preparing for our babies. We may not consider that we could face a last-minute induction decision. It’s good to keep in mind that you may have to face this choice, and it can put you at ease to be informed about decisions you may have to make in a pinch.